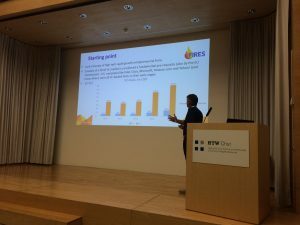 Today FIRES-researchers Luca Grilli, Gresa Latifi, Selin Dilli and Mark Sanders presented ongoing work and research results from the FIRES-project at the IECER2016 conference in Chur, Switzerland. The audience, mostly academics and entrepreneurship scholars form various disciplines but also including entrepreneurs, particularly in the sharing economy, had a lively exchange and many useful suggestions and reflections on the FIRES-work were made. In addition it was clear that t he FIRES-project certainly resonates, also with an academic audience. Of course this is promising and we thank the organization of IECER2016 for having the FIRES-project on the program. 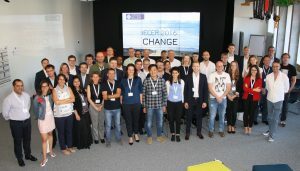 We look forward to return with more final results at IECER2017!